Students who enrolled in the International Linkage University inInternational Linkage Program (ILP) can select courses offered by Sam Ratulangi University (UNSRAT) following the courses offered in asemester based on the curriculum. Thestudents will attend the classes together with UNSRAT’s students who are involved in the ILP program. The course materials given arebased on the syllabus and subject of thecourse. Each course will be taught by 1-2teaching members with doctoratequalification. The academic year in UNSRAT starts in July and is conducted in two semesters every year(odd semester, July – December, and even semester, January – June). Application for new student starts in February, followed by a test in June and the registration in July. Foreign students can follow specific procedure based on the reference of Accepting University in Indonesia, after meetingall immigration requirements. Students who have already involved in the ILP program and are willing to take any subject at UNSRAT can register in all semester but must submit a request at least 2 months inadvance in order to be prepared for supervisors. University is the main source of scientific truth search for those who have ideas, concepts, technological innovation, and arts. The University, as repository of knowledge andintellectuality, must have explaining and predicting capabilities to find and prove the truththrough scientific approach. This approach is employed to build up and develop humanintellectuality in certain cultural range. At the higher level, the intellectuality aspect in linewith moral and ethics determines human culture development. Therefore, the Universitybecomes source and initiator of culture. UNSRAT is located in Manado municipality that is geographically laid inthe Rim of Pacific and it has become an important gateway to Indonesia. The 45-hectare maincampus of Sam Ratulangi University is located in Manado City, about 2 km from downtownand close to Manado Bay. The campus is just 10 km away from the famous Bunaken NationalMarine Park, the world class ecotourism and scientific research attraction, famous for exoticcoral reefs and rich marine biodiversity. 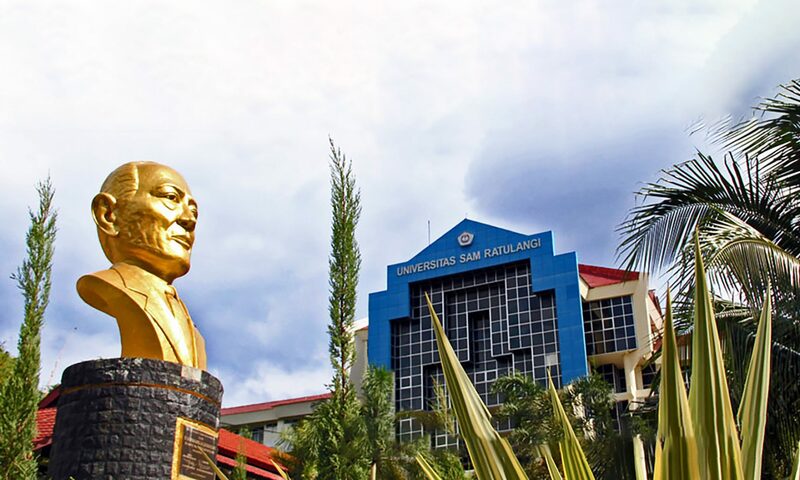 Established in 1965, the university was named after Dr. Saul Samuel Jacob Ratulangi, a national hero from Manado, renowned throughout Indonesia as a leader in the field of education. UNSRAT has 11 faculties (medicine, engineering, agriculture, animal husbandry, fisheriesand marine science, economics and business, social and political sciences, law, cultural science, mathematics, basic sciences, and public health). Faculty of Fisheries and Marine Science (FoFMS) focuses on marine biodiversity exploration for exploitation and conservation interests. Researches emphasize on how important the available species are utilized for human interest through medicinal and food products. FoFMS was established in 1965 and now has 6 study programs (Fisheries Technological Product, Fisheries Resources Exploitation, Fisheries Agribusiness, Aquatic Resources Management, Aquaculture, and Marine Sciences). FoFMS serves undergraduate courses (bachelor in Fisheries), master courses (Master of Science in Aquatic Sciences), and doctorate courses (Doctorate in Marine Science). To achieve educational goals in fisheries and marine sciences, FoFMS provides one center (Center of Tropical Marine Biodiversity) and 12 laboratories (Fisheries Social and Economic, Marine Biology, Marine Bio-molecular and Pharmacology, Fisheries Capture Engineering, Fresh Water Bioecology, Coastal and Small Islands Management, Coastal Geomorphology, Aquaculture Engineering, Fish Health and Aquatic Toxicology, Quality Control of Fisheries Products Handling and Processing of Fisheries Product, Marine Field Station). Teaching activities are handled by professors, lecturers and assistants with various expertises in the area of fisheries and marine science. In the classroom, students are freely involved into discussion with the lecturer and free to use computer facilities, but they should decently dress up. In the laboratory, students must put on laboratory clothes. For presentation assignment, students are supposed to have white-black dress and tie for males. Students are prohibited to smoke, turn on the music player, and wear sandals. Every student will get an internet password. With the internet access, every student will get an academic portal to be able to access the academic grades, courses, study plan, assignment, and discussion with supervisor and on line real time remote class. Foreign students (registered in UNSRAT) who enrolls the ILP program in Indonesia are given3opportunities to obtain Indonesian GovernmentScholarship after fulfilling the specifiedrequirements. Scholarship application can beprocessed one year earlier. For ILP program students, English is used as the first language, and it is not required to masterBahasa Indonesia. UNSRAT does not provide student’s insurance. Securing a personal insurance is advised. To enter Indonesia (Manado), visitor’s visa isrequired. Indonesia collaborates with othercountries to arrange free entrance visa toIndonesia. For those from countries without visa requirement, Visa on Arrival (VoA) can be obtained at the airport when entering Indonesia. 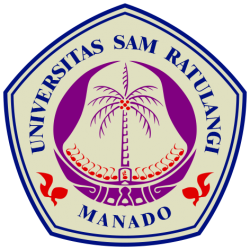 UNSRAT is located in Manado City (3-hour flight from Jakarta,3-hour flight from Bali, 3-hour flight from Singapore, and 1-hour flight from SouthernPhilippines). Thus, foreigners who come to Manado could come through Jakarta, Bali, orSingapore. The campus is located in the middle of the city, within the coastal area. UNSRAT provides student’s residence, but it is largely used by localstudents. There is no international house; therefore, foreign students must rent a smallroom for US$ 150 – US$ 300 per month, depending on room facilities. In general, meal on campus costs about IDR 10,000 to IDR 15,000 (US$ 1-US$ 1.5) permeal, while in the downtown restaurants; people spend US$ 2-US$ 3 for one meal.